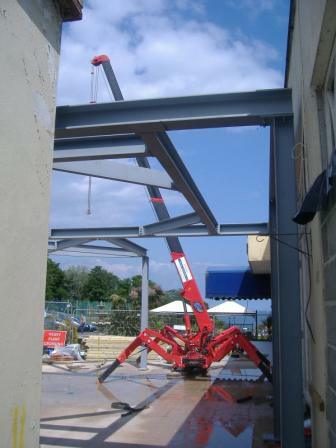 At 2.2m wide, with the outriggers, the UNIC 095 mini crane is specifically designed for interior access. Its outriggers allow for independent, multi-angle configurations to suit the working space, especially in restricted or confined areas. 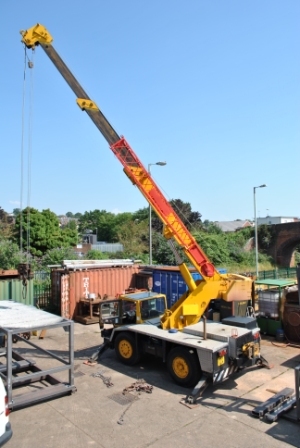 With a maximum lifting capacity of 1t, it can be used for a number of different applications, from internal restoration to the installation of external steelwork on small scale projects up to 9m. 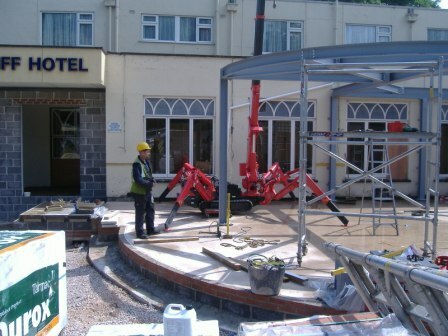 At 4m wide, with the outriggers, the Grove AP415 with a Maximum lifting capacity of 12t, is specifically designed to be used for medium size projects with a maximum height of 15m.